In 1982, the oil rig Ocean Ranger sank off the coast of Newfoundland during a Valentine's Day storm. All eighty-four men aboard died. February is the story of Helen O'Mara, one of those left behind when her husband, Cal, drowns on the rig. It begins in the present-day, more than twenty-five years later, but spirals back again and again to the "February" that persists in Helen's mind and heart. Writing at the peak of her form, her steadfast refusal to sentimentalize coupled with an almost shocking ability to render the precise details of her characters' physical and emotional worlds, Lisa Moore gives us her strongest work yet. Here is a novel about complex love and cauterizing grief, about past and present and how memory knits them together, about a fiercely close community and its universal struggles, and finally about our need to imagine a future, no matter how fragile, before we truly come home. This is a profound, gorgeous, heart-stopping work from one of our best writers. 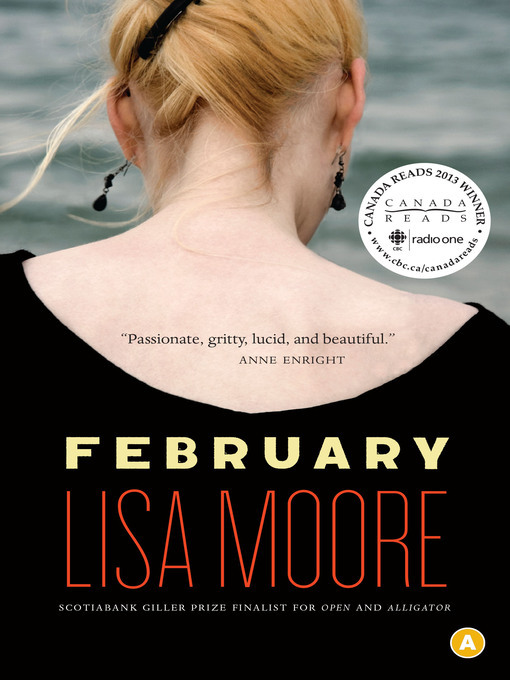 Read a chapter of Lisa Moore's forthcoming novel Caught in this eBook version of February! Publisher: House of Anansi Press Inc.
House of Anansi Press Inc.